The inexperienced base of the bangle has been artfully embellished with associate complex pattern of gold plated brass metal that has been additional adorned with white and inexperienced stone to produce a really royal look. This designer bangle has been moulded in a twisted form to allow for greater flexibility. 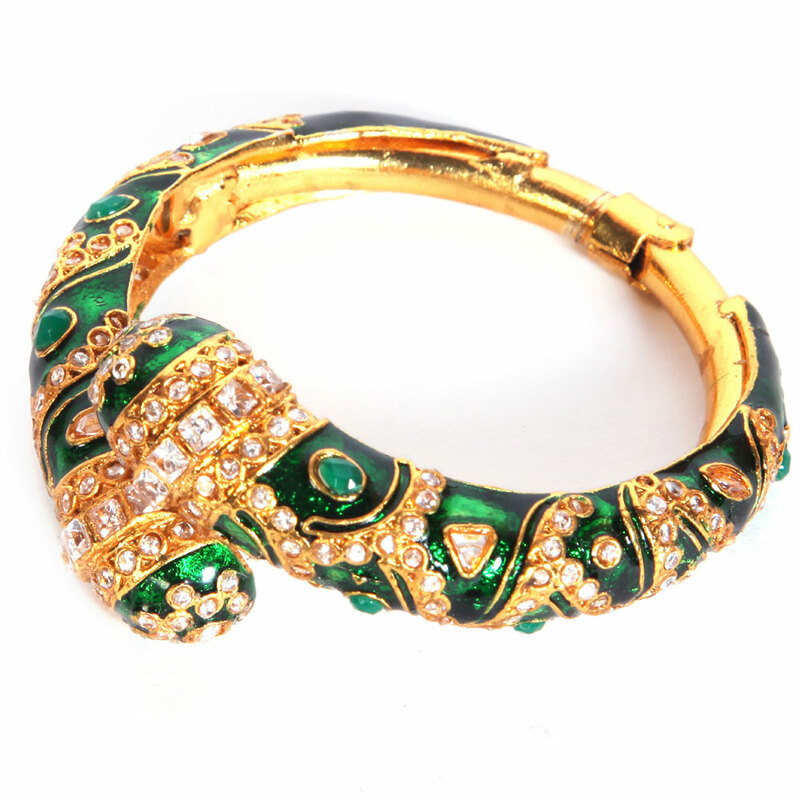 The green base of the bangle has been artfully decorated Read More..with an intricate pattern of gold plated brass metal which has been further studded with white and green stone to provide a truly royal look. Show Less..